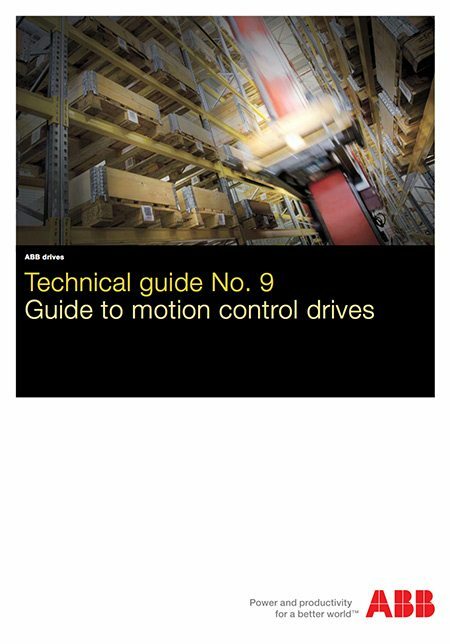 This guide aims to give users an overview of high performance drives and motion control. Although written in a simple style to make it relevant to most applications, readers need to have a basic understanding of AC drive technology to benefit from this guide. 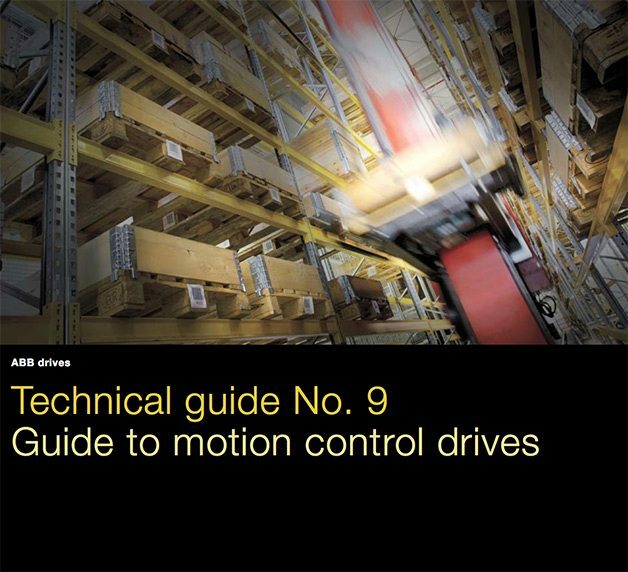 When considering a motion control application it is important to consider all elements in the system including drives, motors, mechanical power transmission components, software, etc. Standard variable speed drives normally control the motor by giving a speed command. The system typically has no feedback and speed reference is preset speeds, 0 to 10 Volts, 4-20 mA, or fieldbus. With motion control, there is always feedback of the real position. This is compared to the reference value and the difference is corrected continuously by the motion controller’s profile generator. Positioning is a good example that highlights this difference. If a standard drive is used for positioning, the motor normally runs at high speed, then decelerates to a lower speed and stops. Alternatively, the drive can follow an analog signal. Either way, no reference profile is followed, compared for errors or corrected. This results in low accuracy. Accuracy can be improved if the controller is a high performance motion controller but in this case, the dynamics and the sample time (generally several milliseconds) of the standard drive become limiting factors.